I’ve just been lucky enough to spend a week in the northern part of New Zealand’s beautiful South Island with my husband. 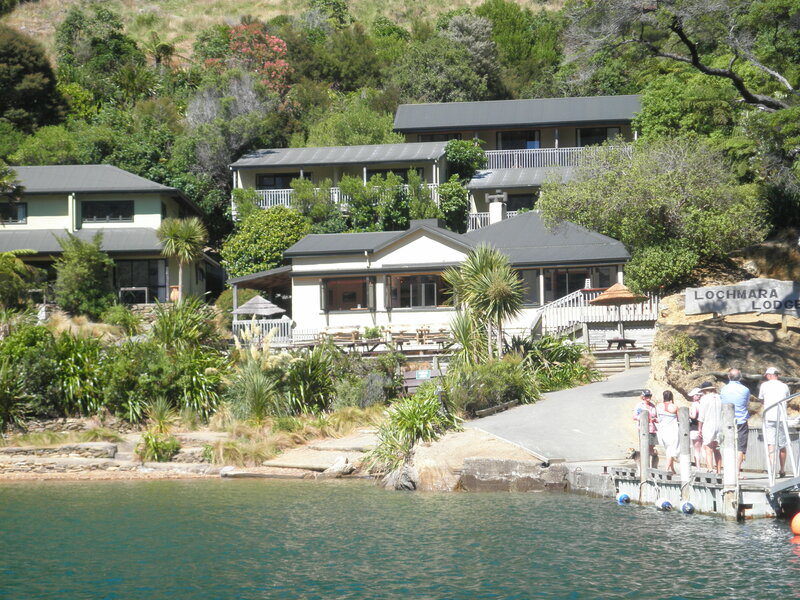 We spent a night at Lochmara Lodge in Queen Charlotte Sound, which is stunningly beautiful, quirky and fascinating. You can only arrive by boat or by walking for some hours along the Queen Charlotte Track. They have a terrific eco presence, and have a couple of llamas, pigs, free range chickens, and breed endangered birds. I was thrilled to see glow worms for the first time in my life, and sea phosphorescence which looked like sparklers under the sea. I came away thinking “Wow, it would be a fantastic setting for an old fashioned murder mystery” but I’m sure their other guests were less gruesome than me.